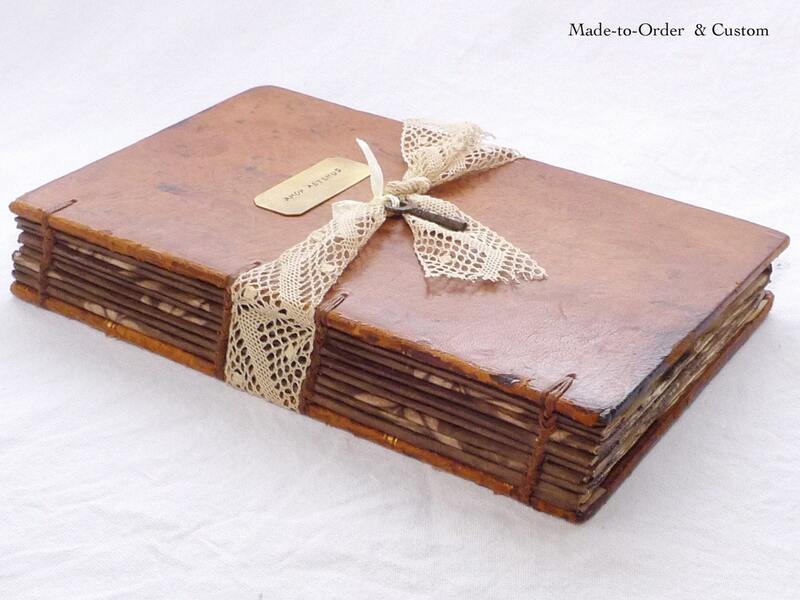 A large rustic guest book made from an antique leather French book rebound with ivory paper. 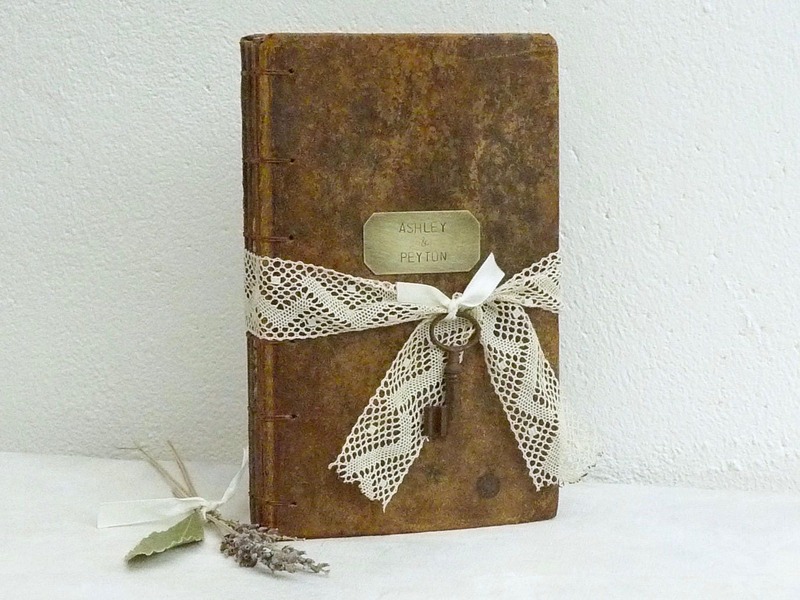 A pretty piece of vintage lace and key top off this unique keepsake blank book. 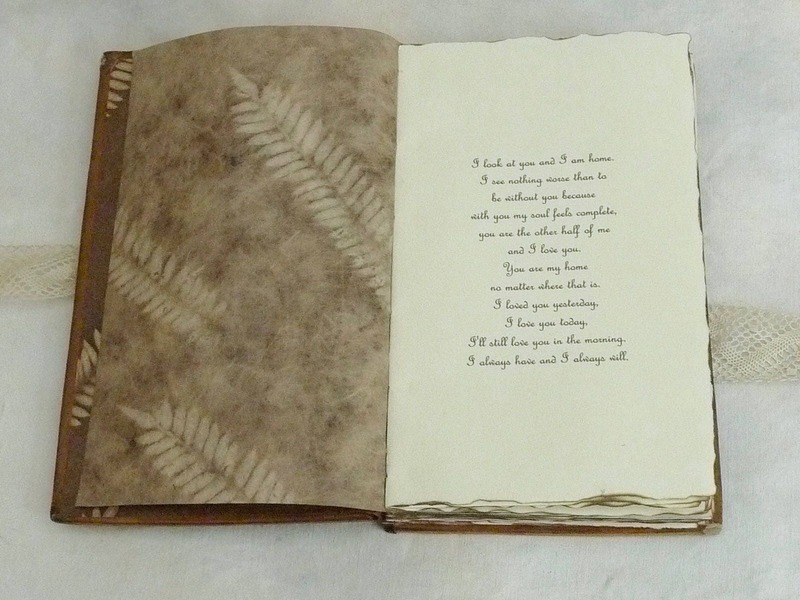 Photos show samples of finished guestbooks for reference only. 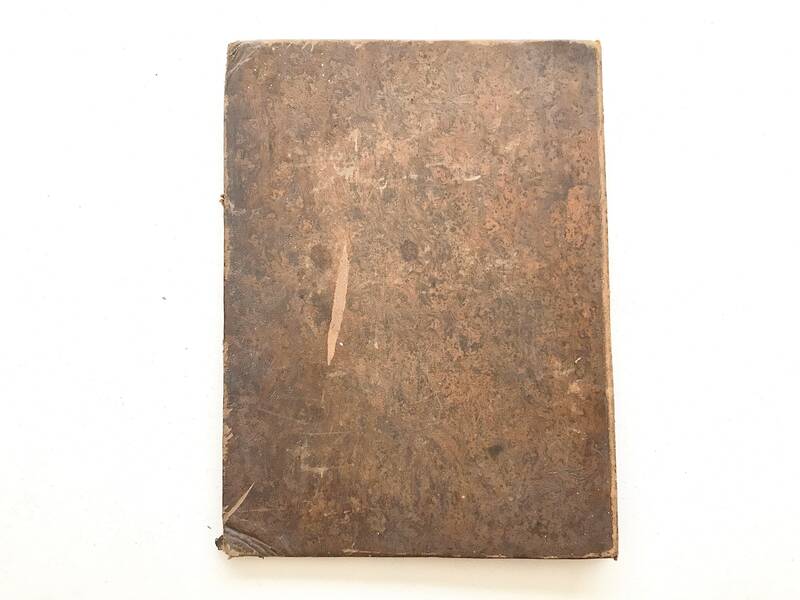 Your order will be made with the antique leather book shown in the last 2 photos. 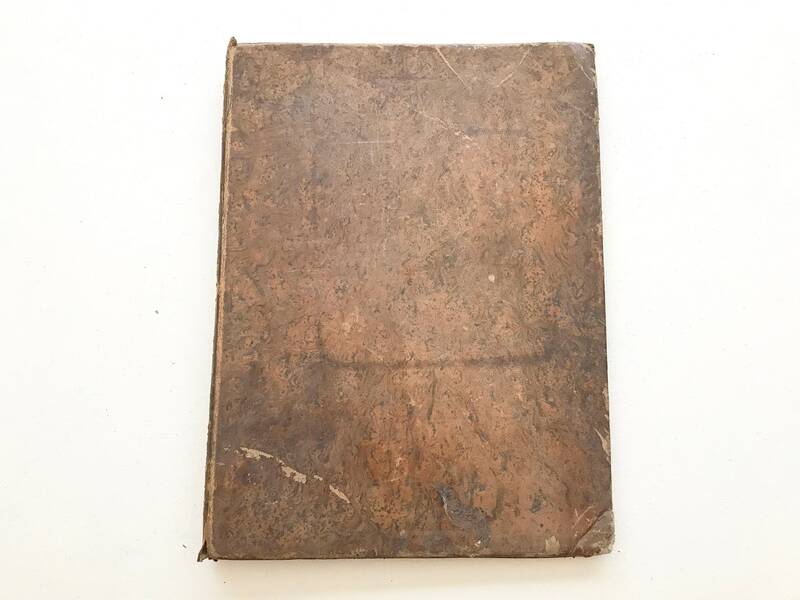 Published in the 1700s, measures approx 9 x 12.25 inches / 23,5 x 31 cm. (attention, the sample photos show a much smaller book). I also have a smaller book available if you prefer. 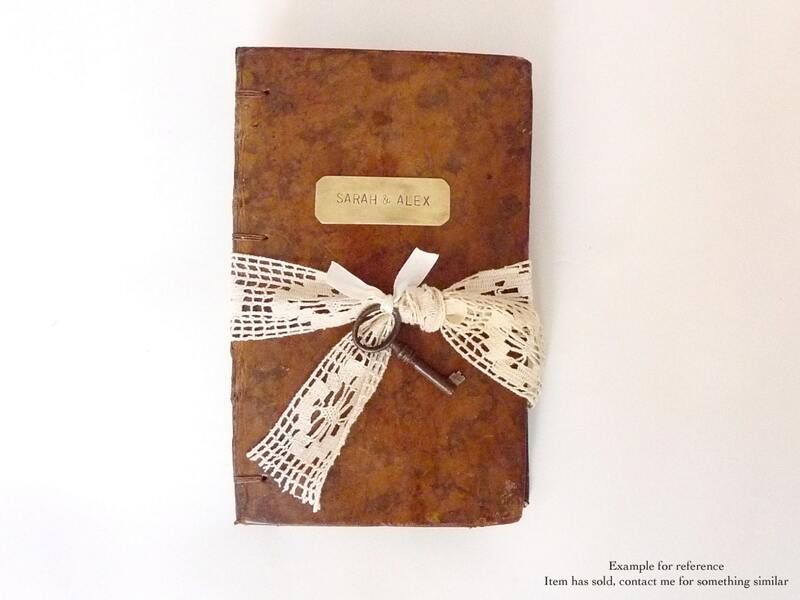 Each journal is professionally bound using a traditional Coptic binding method that shows off the gorgeous stitch work on the spine. See options below or contact me to make a request. 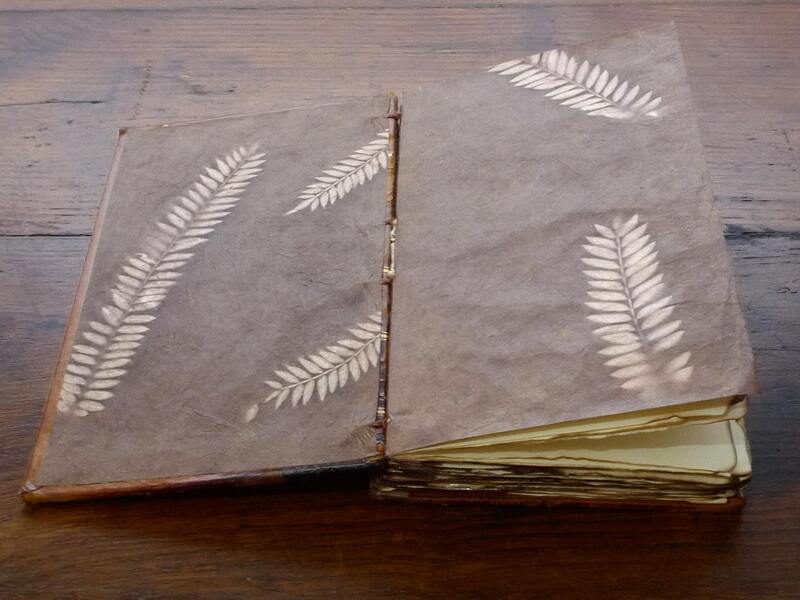 NOTE: Can be made without the burned edges and with a different accent paper. Brass book corners also available. Contact me to make changes.